Life as a stock broker can be stressful at times. It is not for the faint-hearted. An interesting career choice in the financial field is that of a stock broker. Stock brokers are responsible for helping people make wise decisions in their finances so that they can increase their investments and minimize loss. Decisions are made which are tricky and unpredictable and they deal with investments which are significant to the future of a company or individual. For this reason, they must be vigilant and cautious, while trusting their own judgment to increase financial gain. Stock brokers are skilled in Business and Finance and tend to find that critical balance between caution and risk-taking. Especially in our current economy, when the financial futures of everyone are in such an uproar, it is a job that takes a lot of stamina and aforethought. A solid education in finance and business is required to do this job well and a Master’s degree is preferred. 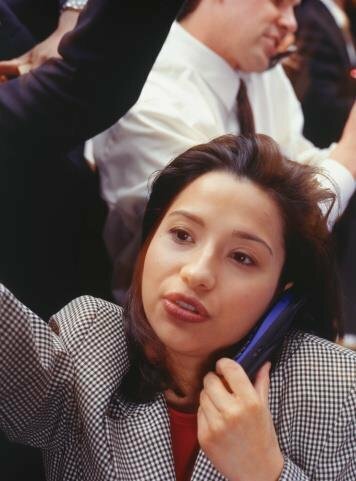 The typical education for a stock broker would include a four-year college degree from a college or school in the areas of Finance and/or Business or Business Administration. Equal focus should be put on the ethical and financial responsibilities involved in this career, as well as how to achieve a maximum ROI (return on investment) for your clients. Most stock brokers are independent agents and operate their own business for multiple clients. Some work as a broker for big corporations as well. While a Bachelor’s degree or even a Master’s is preferred for the most leverage in this competitive career field, one might get by with a certificate in business management or finance/accounting if they are skilled in other areas. Keep in mind, however, that you are also required to obtain a license or certificate with the Securities and Exchange Commission before being granted access to this career. In some states, there may be additional requirements as well. 1) Get a degree (Bachelor’s and/or Master’s) in Finance or Business. A solid background in the financial fields such as finance, business, or business administration will give you a good start to the skills needed to perform the tasks of a stock broker. Look for programs which focus on all aspects of business, but especially those dealing with investments. 2) Start an investment portfolio. If you can show individuals or businesses how you invested successfully yourself, you will be more likely to secure a position as a stock broker. If people see how well you handle your own finances, they are more likely to trust you with theirs. 3) Get financial-related work experience. You must work a certain number of months in the finance business before being allowed access to the formal exams. So get experience dealing with finances and investments before you apply to take the exams. 4) Get your General Securities License. You are required to take and pass the General Securities exam before you can practice as a stock broker. This is backed by the Securities and Exchange Commission. In addition, depending on your state, you may be required to take additional exams or perform other tasks before being allowed to practice. Look into the specific requirements of your state before proceeding with your career requirements. 5) Take continuing education courses. You are required to maintain continuing education through additional professional development hours each year. You can do this in a variety of ways. You should look into specific requirements for your state on these requirements as well. Life as a stock broker can be stressful at times. It is not for the faint-hearted. But if you love high finance, are skilled at thinking on your feet, and don’t mind a challenge, it is a rewarding and exciting career. You will be elbow to elbow with some of the highest financiers in the country, buying and selling stocks for high profile clients and corporations. So, if you have the interpersonal skills and stamina to do it, go for it! Start with a great education in your chosen career path! Good luck to you in the world of high finance!